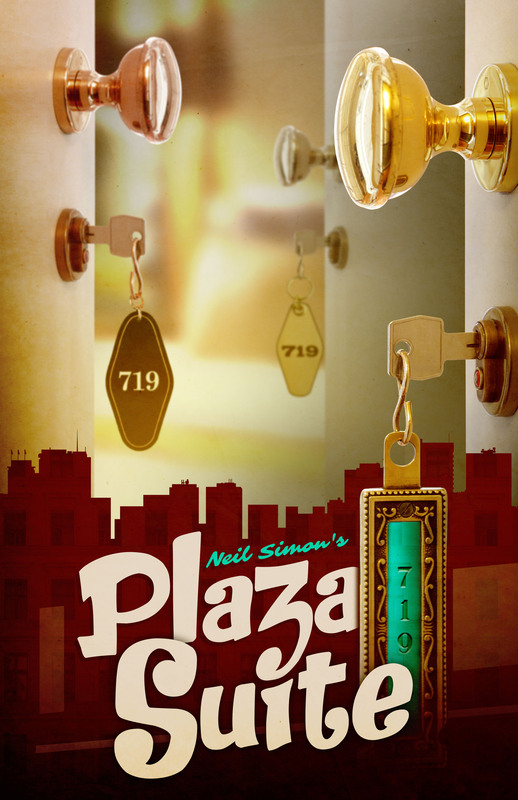 Auditions are open call and all roles are available for PLAZA SUITE. Auditions are scheduled for 6:30pm on the evenings of Tuesday, May 7 & Wednesday, May 8. Please arrive at 6:30pm, preferably, and no later than 7:30pm please. Sides from the show will be provided upon arrival. Audition form will be posted to this page along with expanded information in April. Callbacks on Sunday, May 12, by invite only, beginning at NOON. SAM NASH – Sam cannot come to terms with age. Trim, incredibly neat and well put together, needs to know he looks good and also that others know he looks good. Goes to great strides to keep the years at bay, with exercise and a meticulous diet. Also a workaholic, and currently having an affair with his secretary, Jean. KAREN NASH – Karen is fine with her age. Pleasant and affable woman, allowed herself to look middle aged because she knows she is middle aged. Witty and down to earth, secretly hoping the visit at the suite will bring her and her husband closer together for their “twenty-something” anniversary. She suspects her husband is having an affair with his secretary. WAITER – trained to be friendly and please customers. JESSE KIPLINGER – Jesse is a confident and successful Hollywood producer, but still feels life is missing the kind of relationship he had in his teens with Muriel. Only purpose is to see Muriel. MURIEL TATE – Muriel is a very attractive and still somewhat naïve, warm, generous and very impressed with Jesse. Unsure of meeting with him and yet can’t seem to make a decision to stay or go. Claims to be happily married. NORMA HUBLEY – Norma is the mother of the bride and trying to appear calm in a crisis with everyone except her husband. Sways from trying to keep him calm and in control while passively and aggressively taking a stand for herself. ROY HUBLEY – Roy is the father of the bride with the bills to prove it. Competitive business man, out of his league when dealing with emotions and marrying off daughter. Auditions: August 13 & 15, by appointment, with Callbacks on August 17 and 18. Audition Details will be announced in May and be available to book online in June. ABOUT US: Act Two Theatre’s shows play to large audiences with a loyal-season ticket subscriber base of theatre lovers. All performances take place in the beautiful 318-seat Performing Arts Theatre at the St. Peters City Hall Cultural Arts Centre, adjacent to the Rec-Plex. The theatre has comfortable seating and a terrific stage! Performing Arts Theatre is in the City Hall building, Western(far right) most building at the opposite end from the Rec-Plex. Act Two Theatre performs in St. Peters to one of the largest average audiences of local St. Louis area theatre companies. Each show runs 6-8 performances with attendance numbers ranging between 1000-1800 per run. Act Two’s loyal, large and enthusiastic season ticket subscriber base allows many to receive the gift, joy and magic of live theatre that our talented actors, directors, tech crew and volunteers create. 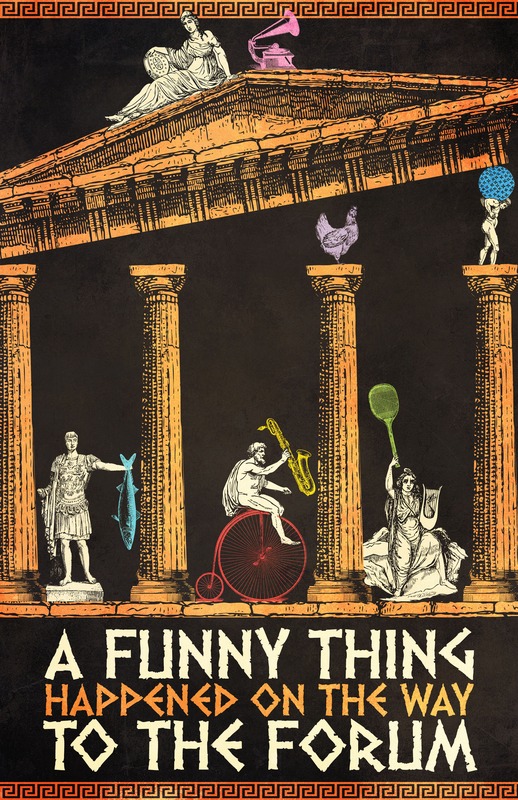 2019 marks Act Two Theatre’s 26th season. We are proud to present another year of high-quality theatre in St. Peters, Missouri. We are located in the beautiful 318-seat Performing Arts Theater at the St. Peters City Hall Cultural Arts Centre, adjacent to the Rec-Plex. The theater has comfortable seating and a terrific stage! Act Two Theatre performs to one of the largest average audiences as compared to other local St. Louis area theatre companies. 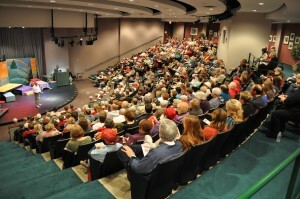 Except for the Muny and Stages no other professional, regional or community theatre company boasts a larger following. Act Two’s loyal, large and enthusiastic season ticket subscriber base allows many to share in the joy and magic of live theatre that our talented actors, directors, tech crew and volunteers create.